Get your dryer working in no time by handling your own repairs. 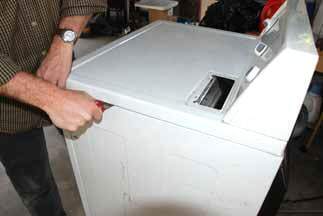 For the secret of how to open up your dryer for easy repairs, just follow these steps. 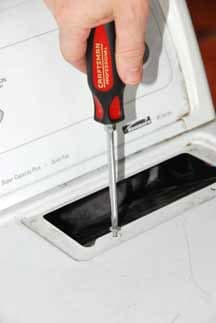 Although a clothes dryer looks like an almost impenetrable appliance, it is fairly easy to open up to gain access to the working parts for repairs. 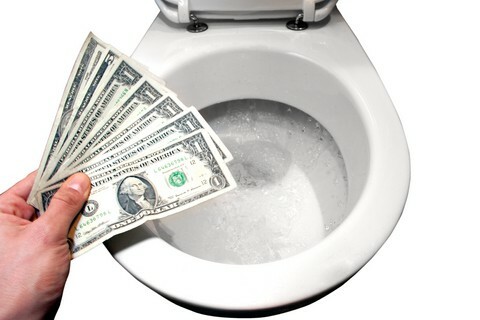 In fact, because it’s pretty simple once you know how, it is a great way to gain a clearer understanding of how this appliance works. Remove the screws from beneath the lint trap. You can remove the top, the front, and the back, depending upon what you’re trying to do. 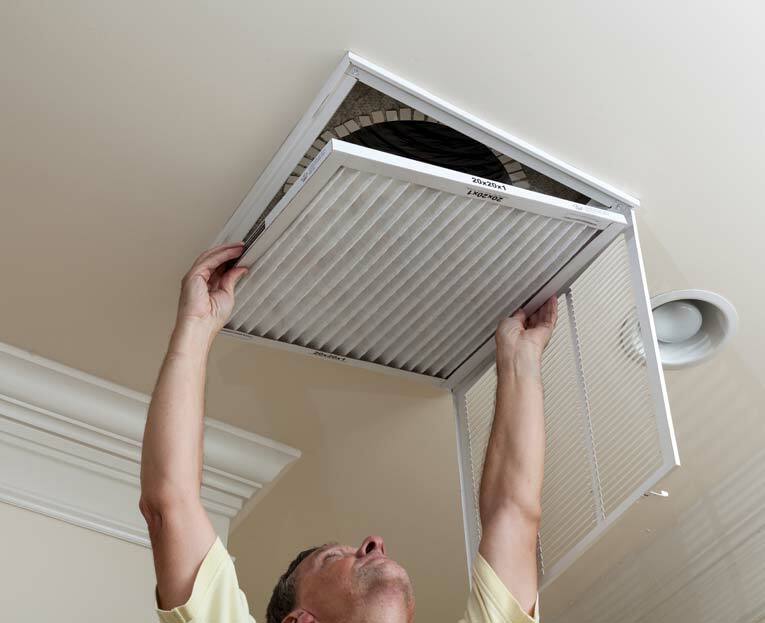 Be sure to disconnect the electrical power and, if it is a gas dryer, turn off the gas before doing any repair work. As you work, pay attention to the sequence and gather each of the screws and parts in one place so reassembly will be easy. The steps here show how to open a front-loading Kenmore dryer; if your dryer is a different make, the steps are probably reasonably similar, but refer to your owner’s manual. Use a putty knife to release the clips that secure the top. Push a stiff, thin putty knife between the top and one side, about 2 1/2 inches from the front corner, as shown at left. Once you release the dryer’s top, you can lift it off. On some models, you will be able to just pry the top up; with others, you will need to release a locking clip at this location by pushing it with the putty knife. Then do the same at the other corner. 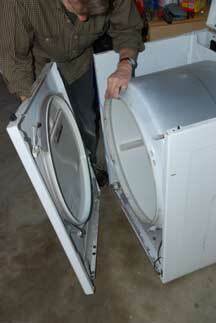 Lift the top up and tilt it safely against the wall behind the dryer. Wires will prevent you from removing it completely. 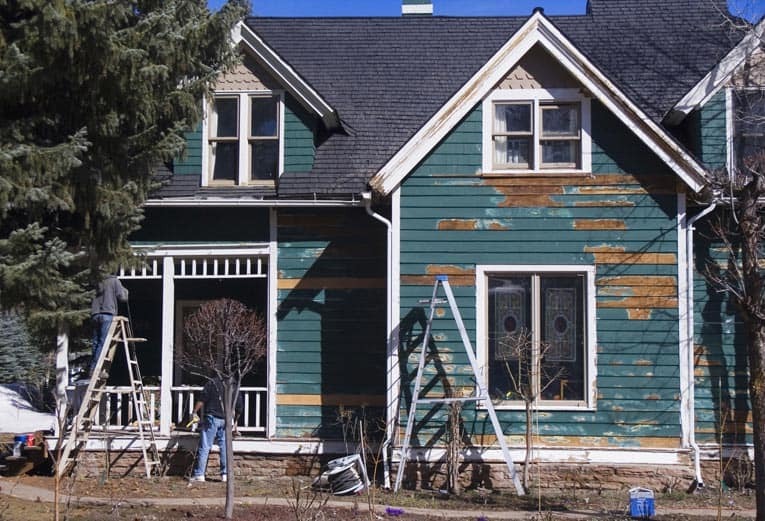 Removing the back is trickiest, not because of the way it is attached (it is just held in place with screws) but because you usually must wrestle the dryer away from the wall, detach the dryer vent, and so forth. Fortunately, however, opening the top and front will suffice for most repairs. Support the drum and remove the front panel. Disassemble the lower kick plate panel. To open the front of the dryer, start with the lower kick plate panel. Unscrew this and take it off (as shown at right) and then support the bottom of the tumbler drum (as shown at left) with a couple of blocks or bricks so that, when you pull the full front of the dryer off, the drum won’t drop. 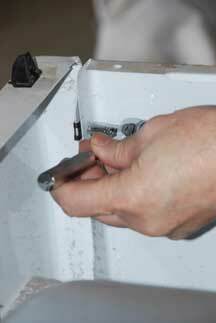 Find the screws and/or locking clips that secure the front panel to the sides and remove them. Also disconnect the wire module between the main body of the dryer and the door. Then you should be able to just lift off the front. 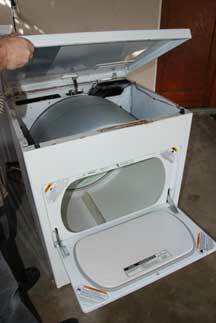 With access to the dryer belt, idler pulley, gas valve, and other parts, you can accomplish many repairs. 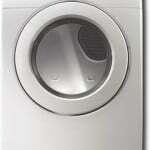 The methods for disassembling clothes dryers vary slightly, depending upon the make and model of the appliance. The following helpful videos will walk you step-by-step through the process of opening some popular models. 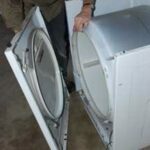 This clear video by Appliance Parts Pros guides you through disassembling a dryer like the one discussed above. This is a a really well produced video by Repair Clinic—easy to follow, clear, and accurate. They’re working on a new machine but, hey, what the heck? It makes it easier to see everything. 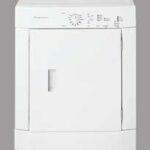 If you prefer to get professional help, go to this site for FREE listings of qualified local pre-screened clothes dryer pros.